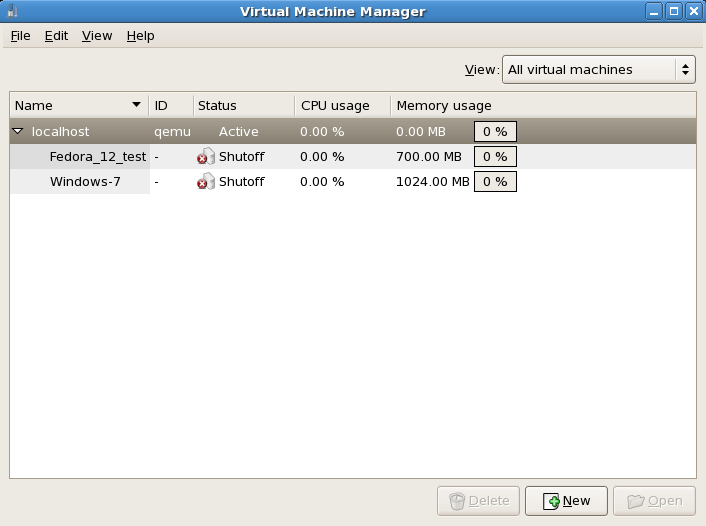 After you start the Virtual Machine Manager, all virtual machines on your system are displayed in the main window. Domain0 is your host system. If there are no machines present, this means that currently there are no machines running on the system. From the File menu, select Restore a saved machine. The Restore Virtual Machine main window appears. Navigate to correct directory and select the saved session file. The saved virtual system appears in the Virtual Machine Manager main window.